The American Resort Development Association (ARDA) has named Jason Gamel as its new president and CEO following an extensive national search. In late March, the ARDA executive committee endorsed Gamel as the successful candidate. 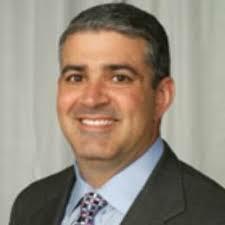 Gamel brings more than 20 years of experience in the hospitality and timeshare industries, including his current role as senior vice president of legal at Wyndham Destinations. Howard Nusbaum, current president and CEO of ARDA, said: “I am incredibly excited that Jason has been selected as ARDA’s new leader. Gamel will take over the organisation in early May and succeed Nusbaum, who announced late last year that he was retiring after almost 20 years at the helm. He will work alongside Gamel during the transition. Before joining Wyndham Destinations, Gamel served as the vice president of government affairs at ARDA where he oversaw the direction and management of local, state, and regional legislative and lobbying activities in the United States and throughout the Caribbean. Prior to ARDA, Gamel was an associate at BakerHostetler, one of the nation’s largest law firms, in their hospitality practice. Gamel said: “I feel honoured to be able to serve the industry which has given me so much opportunity over the past 20 years. Gamel holds a bachelor’s degree from the University of Michigan, a juris doctorate degree from the University of Florida – Fredric G. Levin College of Law and is licensed to practice law in Arizona, California and Florida. He will be relocating to the Washington, DC area with his wife and two children in the coming months.